We’d love your help. 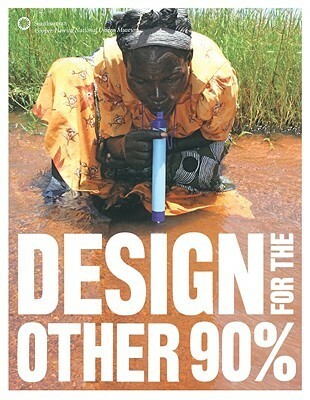 Let us know what’s wrong with this preview of Design for the Other 90% by Cynthia E. Smith. To ask other readers questions about Design for the Other 90%, please sign up. Book spends too much time on the Foot Pumps designed to make fresh water wells in Africa, and not enough time on other Appropriate Technology solutions. I realise that the book was designed to go along with a museum exhibit and really focusses on the efforts of one project, but if you want a book on appropriate technology in general, this isn't it. Skimmed it. Sister ordered it on inter-library loan. Interesting stuff to consider. Somewhat technical but I suppose it would make fascinating reading material for an engineer or very hands-on environmentalist. I just didn't have the time/attention span to delve into the text. Everyone can benefit from good design.